I meet Professor Nasser David Khalili at his office in Mayfair, on the top floor of a building shared with a fashionable clothing brand. Beautiful young people come and go through the lobby in which posters of exhibitions of Khalili’s collections are on display. I am shown to the lift, but there is no button to press. The concierge waves a fob and the doors close. When they open again, I see Professor Khalili across a beautifully adorned, airy office. He is sitting behind his desk. There is no anteroom, no secretary. I am fortunate to have secured a rare audience with one of the richest men in the world. Around the room is a host of intriguing works from Khalili’s personal collection. 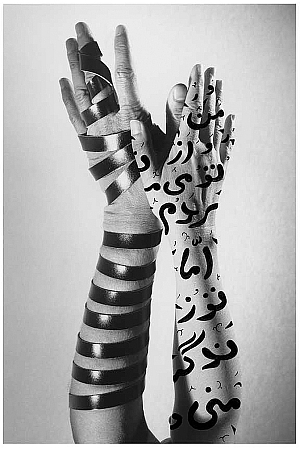 They include a contemporary photograph of two arms upstretched, one with tefillin wound around it and the other etched with Arabic calligraphy. This is no doubt representative of Khalili’s two great passions, Judaism and Islamic art. As Elizabeth Sackler is synonymous with feminist art, Khalili has become synonymous with Islamic art. He has endowed Chairs in this field at his alma mater, Queen’s College in New York, where he received his BA, and at the School of Oriental and African Studies (SOAS) in London, where he was awarded his PhD. There is also a Khalili Research Centre for the Art and Material Culture of the Middle East at Oxford University. Khalili also has smaller but equally distinguished collections of Swedish textiles, Spanish metalwork, Japanese decorative art and enamels of the world. Adding his property interests, managed through his company Favermead, currently developing an innovative energy-efficient 220,000 square foot office block at Holborn Viaduct in central London, his worth is estimated as more than £5 billion. Not bad for a selfmade man from Iran. 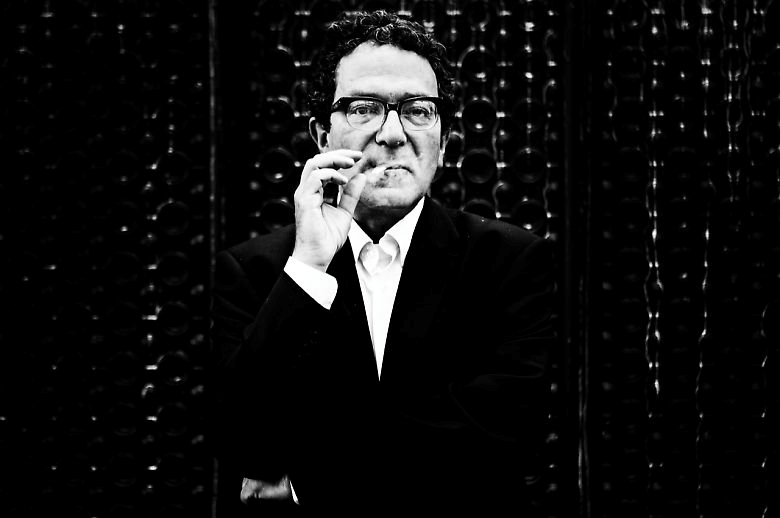 Khalili was born in 1945 in Isfahan and brought up in Tehran by parents who were not fabulously wealthy but, according to their son,“rich in spirit”. His father was an antiques dealer and it was from him that Khalili developed his own love of art, often accompanying him on home visits. On one such trip, the young Khalili was wowed for the first time by an artwork, a lacquer pen box. It was given to him by its owner who was moved by his interest and it became the first piece in his collection. 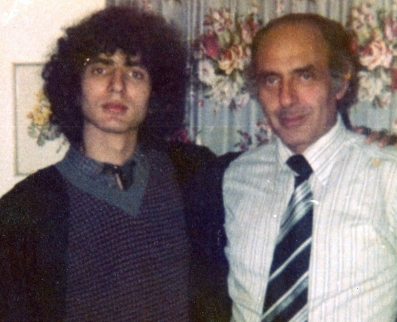 In 1967, after completing his national service as an army medic, Khalili left Iran and travelled to the US to study computer science. It was in New York that his collecting first began, as a means to pay his way. He only resorted to collecting art professionally when he was fired from his job flipping burgers. Within two years he was a millionaire. He would travel across the country buying up lots of work, keeping only the best and selling the rest. His skill lay in his eye and knowledge of Islamic art acquired from his father and his own study of the genre since childhood, though he admits that he was lucky to begin collecting when there was such a glut of good pieces. He settled in the UK, which has been his home since 1978, after meeting his wife, Marion, on a visit to London in 1976. Marion was working in an antiques centre, and he knew on first sight that this would be the woman he would marry – if she was Jewish. He bought from her a brooch for his mother and an emerald ring and bracelet, which he gave to her. 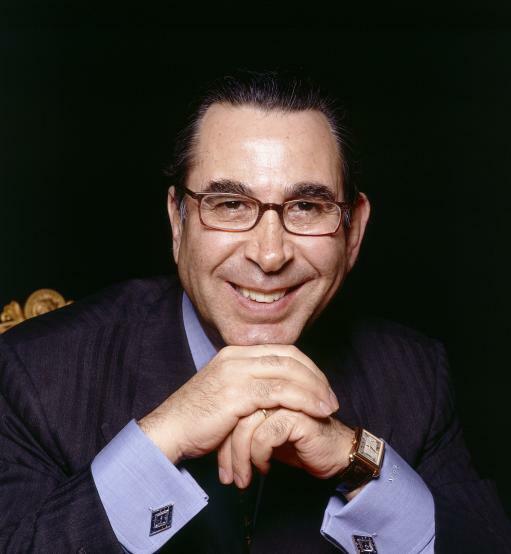 In the early 1990s, Professor Khalili bought 18-19 Kensington Palace Gardens, which previously housed the Russian and Egyptian Embassies. It was this that first propelled him into the public domain, as the renovation he oversaw for the next three years created a residence equal in size to the White House, and second only to Buckingham Palace in London, and seemingly as grand with marble imported from the same quarry in Agra as the Taj Mahal. When finished, their children, Daniel, the eldest, and two twin sons, Benjamin and Raphael, had flown the nest, and as Bloomberg has reported, Marion refused to move into the house, considering it too “palatial”. The house of Khalili though is constructed on strong foundations. 18-19 Kensington Palace Gardens is still the most expensive private residence in London, now owned by the Indian steel tycoon, Lakshmi Mittal. It is one of the many records Professor Khalili holds, of which he is evidently proud. These include being the longest-serving governor on the Board of SOAS (for 17 years); the youngest published author in Iran, at just 13 years old, when he wrote a compendium of 223 geniuses, a response to ridicule from a teacher at his Jewish day school for aspiring to be one himself; and, most famously, the custodian of the largest private collection of Islamic art in the world, in addition to collating the largest publication in art history, which will catalogue the 20,000 artworks in 27 volumes. The secret to his success? “You dream, you plan, you pursue. If you don’t do that, you don’t get anywhere.” He adds: “In every field in which I have collected, I became an expert in the field before I collected.” This and a famously retentive memory have helped him to assess better than anyone the value of the art in his chosen fields. Though amassing his collections is his life’s work, he has still to realise his most long-held dream – a dedicated museum for his collection of Islamic art in London. He reveals to me, exclusively, that this will happen before his 70th birthday in 2015. Sharing the art he has collected with humanity is his mission. “I hate telling people I am here to educate you. I am here to inform you and to allow you to form your own opinion. It is my philosophy.” He refers to the need to learn about others’ way of life as being the philosophy of Maimonides, which he follows, “because by learning about it we will find there is more that unites than divides us.” It is for this reason that he set up the Maimonides Foundation, to foster dialogue and understanding between the Abrahamic religions. This is a view he shares with Chief Rabbi Lord Jonathan Sacks, with whom he has a “special relationship”, and who is a mentor to his children and an inspiration to him. 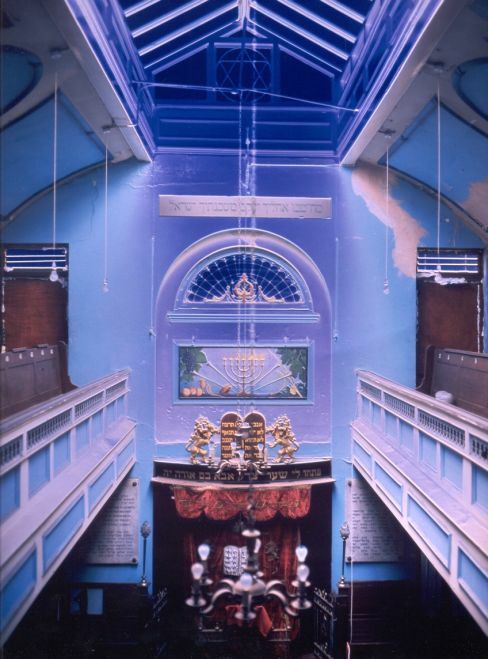 “I consider the Chief Rabbi one of the greatest brains in the history of Judaism.” At Rabbi Sacks’ request Khalili funded the refurbishment of the Bloomstein Hall at the Marble Arch Synagogue. And what of his plans once the museum is established? “I plan to write my autobiography, but not for another 10 or 20 years.” This will be quite some story, of the Jewish man from Iran and his plan for the world’s greatest collection of Islamic art. 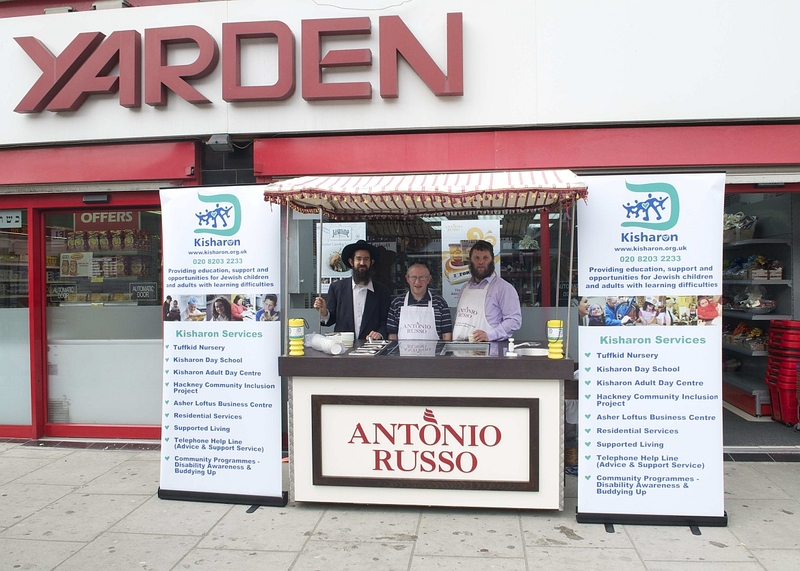 First published: Jewish Renaissance Magazine, October 2011 Issue. Arthur M. Sackler, along with his two younger brothers Mortimer and Raymond, made his fortune in pharmaceuticals. Between them they donated to many of the world’s leading cultural and academic institutions. In fact it is hard not to take note of a Sackler Wing or Sackler Center. There is one at the National Gallery in London, the Smithsonian at Washington DC and the Louvre in Paris and at Tel Aviv, Oxford and New York universities. Arthur’s second daughter, Elizabeth, has continued along the path illuminated by her father, and two uncles. As President and Chief Executive of the Arthur M. Sackler Foundation, she is responsible for maintaining and lending over 1,000 of the most important works of Asian art collected by her father over his lifetime. However, it is as “matron” of the arts, as she coins the term for her role, that she is emulating her father. Her first endeavour that brought her international reclaim was her pioneering activity in repatriating Native American ceremonial materials. It was this empathy that moved her to act by publicly purchasing three katchina masks at auction at Sotheby’s and returning them to their rightful owners, the Hopi and Navajo Nations. Out of this act, developed the American Indian Ritual Object Repatriation Foundation, which she founded in 1992, and which continues today to educate about the importance of repatriation, and the distinction between that which is appropriate for sale or exhibition and that which is not. Then in 2001, at a meeting with the Director of the Brooklyn Museum, Arnold Lehman, she presented him with a book about Judy Chicago’s iconic feminist megasculpture, The Dinner Party. Enquiring whether he would like it, he responded enthusiastically. However, she did not mean the book, she meant the work itself. Lehman was stunned. 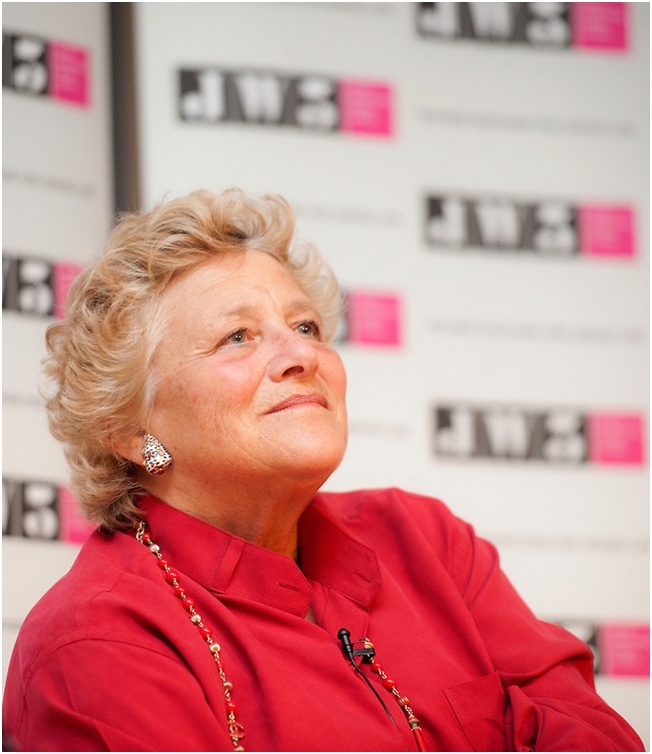 Elizabeth was first introduced to Judy Chicago in 1988. 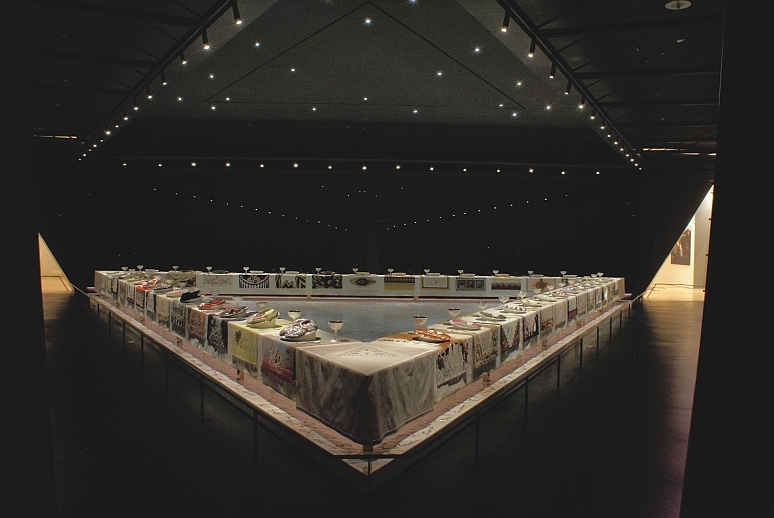 The Dinner Party, her most epic work, consists of a triangular table 48 feet long on each side, with place settings for 39 notable women from Primordial Goddess to Georgia O’Keeffe, and set on a white floor inscribed with the names of a further 999 notable women. Chicago is a pioneer of the feminist art movement who in the 1960s changed her name from Judy Cohen in a move that denounced the masculinisation of her roots. When Elizabeth arranged The Dinner Party’s gift, through the Elizabeth A. Sackler Foundation, to the Brooklyn Museum as the centerpiece for a center for feminist art, Judy’s dream for its permanent housing was realised. Not only did she offer the work for permanent display but also the gift of a new wing of the museum to exhibit it. “Initially, I had no desire to have my name carved in stone, as it were, but after lengthy discussions with my sister I thought: Well, ‘the boys’ (as my grandmother referred to her three sons, my father and my uncles) have, with all the Sackler Wings here and abroad, created a great launching pad. My name could be a service to raising awareness of women in the arts – to which people might then pay more attention.” Thus came into being the Elizabeth A. Sackler Center for Feminist Art – now the pre-eminent (and still possibly only) institute of its kind internationally. Elizabeth’s interest and passion for art developed at an early age. Her earliest memories were of being taken to museums. “I remember vividly when I was 8 years old being in the Louvre and staring up at the Winged Victory of Samothrace (the classic sculpture honouring the goddess Nike), and being overwhelmed by her beauty and power.” When she was 15, the first Sackler gallery opened, the Arthur M. Sackler Gallery at the Metropolitan Museum of Modern Art in New York – featuring monumental Chinese sculpture that her father collected. It was this that held Elizabeth in good stead in later years. She recognises that her interest in the feminist movement also can be traced back to her family. 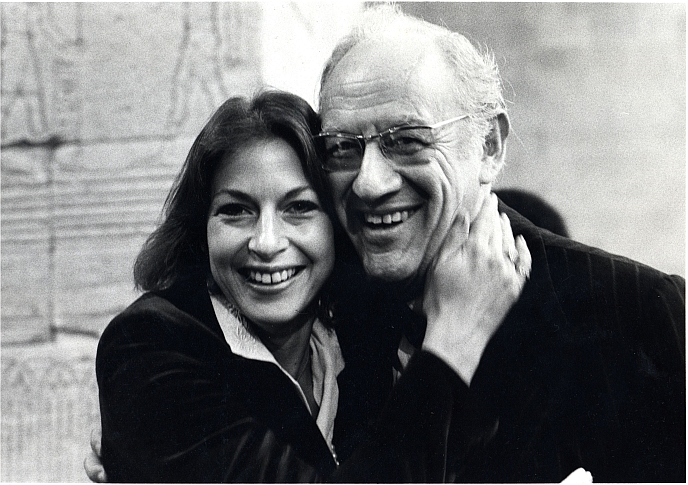 Throughout his medical career, Arthur Sackler was a forerunner in acknowledging and supporting contributions of women doctors and nurses and at the height of the feminist movement in the 1970s, he worked with established groups to increase the number of women accepted into medical school and related fields. 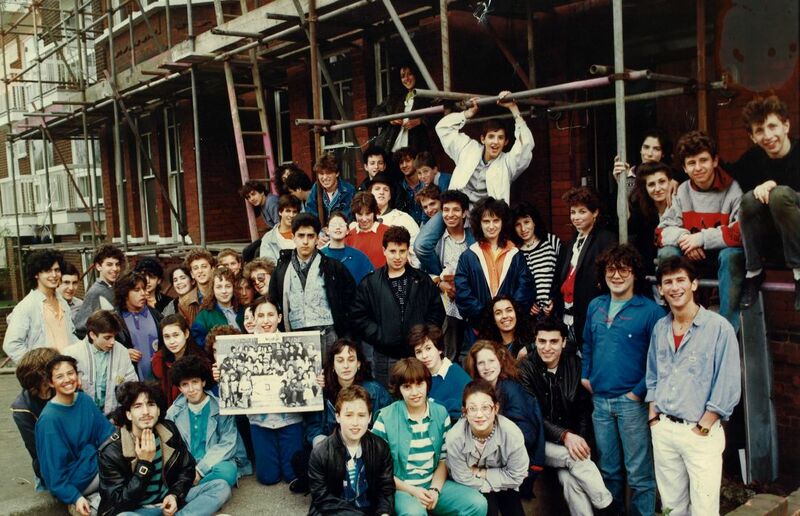 She recalls the time that her son was preparing for his Bar mitzvah, and she took the opportunity to study too, at Congregation Shearith Israel, the historic Spanish and Portuguese Synagogue in New York City. Under Rabbi Marc Angel, she became aware of the tension within the Orthodox tradition from the separation of women from the Torah. First published: Jewish Renaissance Magazine, October 2010 Issue.